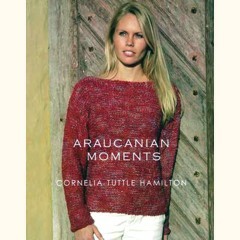 Cornelia Tuttle Hamilton has designed 17 lovely patterns for the entire family using a variety of Araucania yarns. These patterns are easy to knit, and have simple but classic shapes. The patterns include ponchos, pullovers, a baby cardigan, a purse, a shawl, a blanket, and much more. Araucania yarns are hand dyed in Chile.